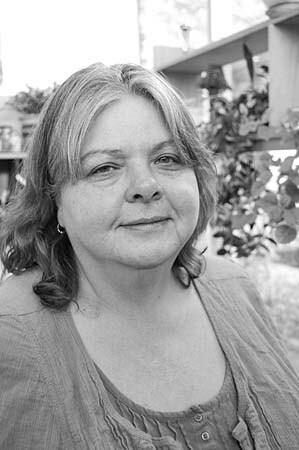 Two weeks out of high school in Ashland, Vikki Perpinan came up to Eugene in 1976 for the UO's Upward Bound summer program. "I never went back," she says. Instead, she met her husband, Jaime Perpinan, a welder, and had the first of their five children. Hard times in 1979 prompted a move to Phoenix, where there were "jobs on every corner." Returning to Eugene in 1990, Jaime found work, but still they went homeless for months because landlords, ignoring the new fair-housing law, wouldn't rent to a family of seven. "I was angry," says Perpinan. "I wrote a speech for Homeless Awareness Month in October at Harris Hall. I stood up, I was crying, and people started clapping." She was asked to speak to other groups, the family was able to purchase a house a month later, and the two youngest got into Head Start. "I got an education volunteering at Head Start," says Perpinan, who landed a VISTA position five years later with St Vinnie's Second Chance Renters Rehabilitation Program. It turned into a full-time job in 1998. "I've been there ever since, written grants and helped build it up. It's an eight-week course for people who can't find a place to rent. Ninety-two percent of our grads find housing."